I keep hearing the need for "Growth Mindset," "Collaboration," "Empathy," etc. while describing the characteristics of agile teams. However, I rarely see someone highlighting the need for the "courage to speak up" in agile teams. I could keep writing this for another 2 pages. But the bottom line is, courage to speak up and courage to take action is very critical to succeed in agile teams but no one "speaks about it". Isn't it ? No matter, how good the teams are in doing their "bubble retrospectives" or setting up colourful Kanban walls, missing out on the courage aspect could derail their Agile initiatives. The courage to speak is the key to open the secret chamber of agility. 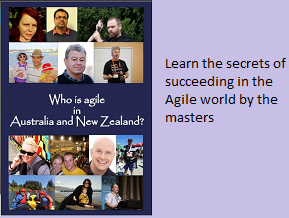 P.S: My next Certified LeSS practitioner course in Sydney scheduled March 26th-28th. Seats are getting filled pretty fast and avail early bird discount. Register here. Is this the end of Samsung ? Was Fredrick Taylor a bad man ? Which framework is better LeSS or SAFe ? Learn the rules before bending it..